I love miso, garlic, and broccoli, so this recipe is right up my alley! 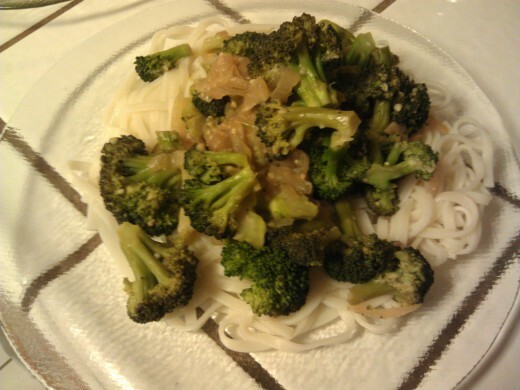 Make your starch ahead of time or start it a bit before the broccoli, so you aren’t waiting on the noodles. 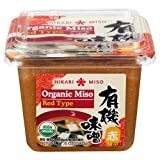 You may want to add more garlic and miso. I am vegan, but you can add a fried egg for a little extra protein and flavor kick for your ovo-lacto guests. Wash, remove stems and leaves from the broccoli, and cut down to florets. Peel, half, and slice 1 medium onion. Brown onions in non-stick pan with 1 tablespoon olive oil or more if not non-stick. After onions brown, add minced garlic under medium heat. Let the minced garlic brown on medium heat. Add 1/4 cup water and 1 tablespoon red miso to pan. Stir the miso until it is evenly distributed and coats the onions. Add 1/4 cup water and broccoli. Cook broccoli on medium heat until still a bit crunchy. 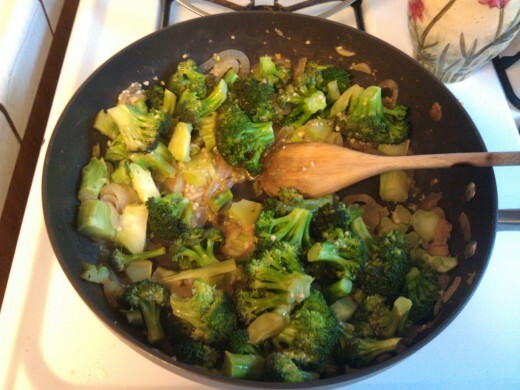 Add sesame oil to finished broccoli and toss to evenly distribute. 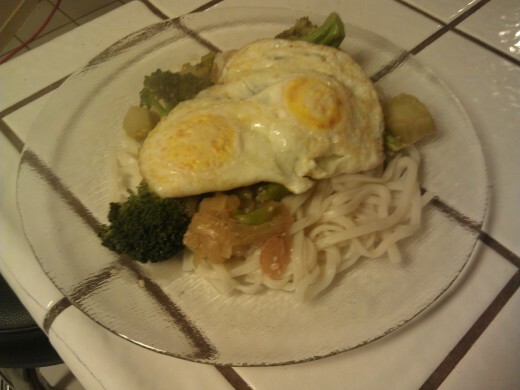 Serve on udon noodles, rice, or quinoa.